This week, we're going to the South of France to learn about a popular but perhaps lesser-known white wine grape, Marsanne. The Cotes du Rhone is where we began our agency in 2004, so it remains a special appellation for us here at Nokhrin Wines. Although it might not have the prestige of Bordeaux or the 'terroir' of Burgundy, it remains an amazing appellation for good quality, well-priced wines, and Marsanne is certainly part of that story. This grape can make for some wonderfully full-bodied white wines with notes of honeysuckle, almonds, and spices. It is often used to add spice and body in blends and is often blended with other white wine grapes, such as Roussanne and Viogner. Despite this, it is possible to occasionally find 100% Marsanne wines. Marsanne vines are vigorous, meaning that vines and leaves tend to grow quickly and large. Partly due to its vigour, winemakers have to control Marsanne yields, keeping them fairly low and harvesting early in order to ensure that the end result has good acidity and is not 'flabby' or 'watery'. Marsanne grapes are also picky -- if the climate is too hot, they will over-ripen, leading to 'flabby' wine. If it it too cold, they will not ripen properly, also leading to wine that lacks flavour or aroma. Despite this, it has proven to be a popular grape in numerous big-name wine regions, including the Cotes du Rhone, other sections of Southern France, as well as Australia and California. 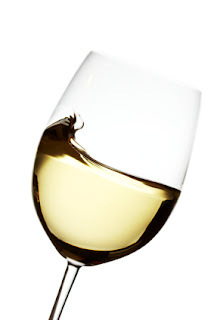 Pairing for a Marsanne (or Marsanne blend) wine tends to be similar to other white wines, although Marsanne wines can have more body to them than your average white. This makes them good pairs for dishes like chicken with cream (not tomato) sauce, richer foods such as duck or lobster, and, of course, foie gras. And, of course, Marsanne makes an excellent choice for a fish course. Names: Marsanne, Avilleran, Ermitage Blanc, Rousseau, Hermitage.